But you know what? Being me is tough. Imagine you are “the thing” in a city where things come and go. Yes, things come and go, but now I am the topic. Everyone wants a bite of me–they want to see how I taste and they aren’t scared to get addicted to my French-American mixture. They want to know if it is true that I am so flaky on the outside with all those layers and soft and airy on the inside of all that flake. They want to know what I am stuffed with: crème, jelly or chocolate spread. Don’t you want a piece of me? And for all of these, they are all eager to religiously endure what it brings about. You see–being me is difficult. Since my chef started to whisk me this morning when I was just a batter, I have been thinking: what if I am not good enough? What if when my client spits me out of his mouth as he takes a bite from me? What if he bashes me on Instagram with my name hash-tagged in there? I should deserve every penny my client pays to me. I mean on the other hand, I must be some sort of good right? There are faux versions of me out there. They can only wish to be me, huh. If Marie Antoinette could have a taste of me, I would make her favorite sweet sin-making éclair or profiterole die (or fall apart better to say) from jealousy, I am sure. The quote would be ‘let them eat the cronut!’. Oh, I was born in the wrong time. That $5… I will do all my best to earn that $5. My client won’t leave here unsatisfied. You want to know how? A good one like me would never reveal her tricks. But I am saying it is hard to be me. 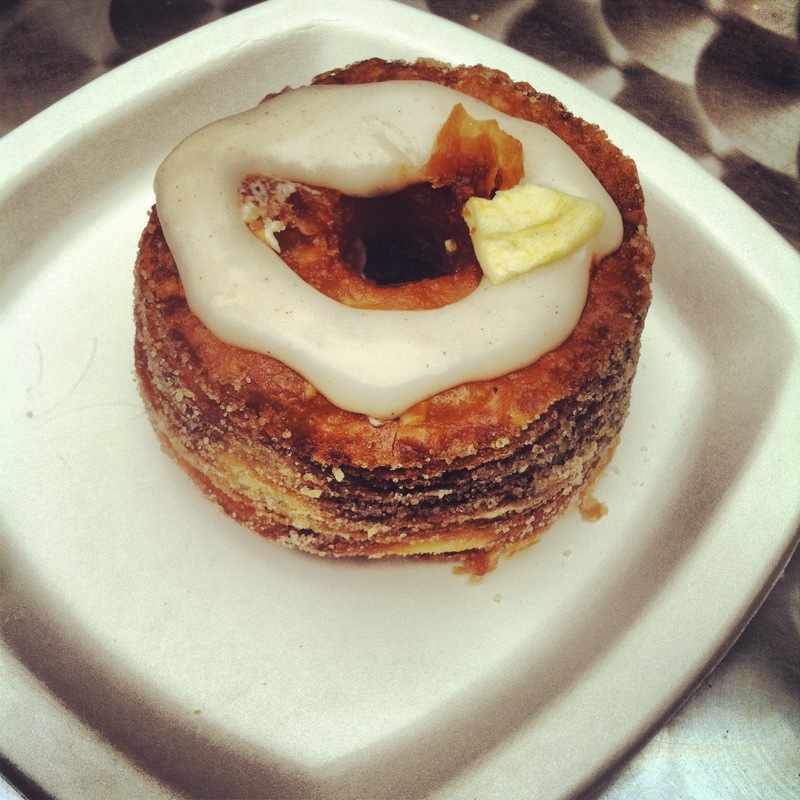 Tags: cronut, Dominique Ansel Bakery. Bookmark the permalink.